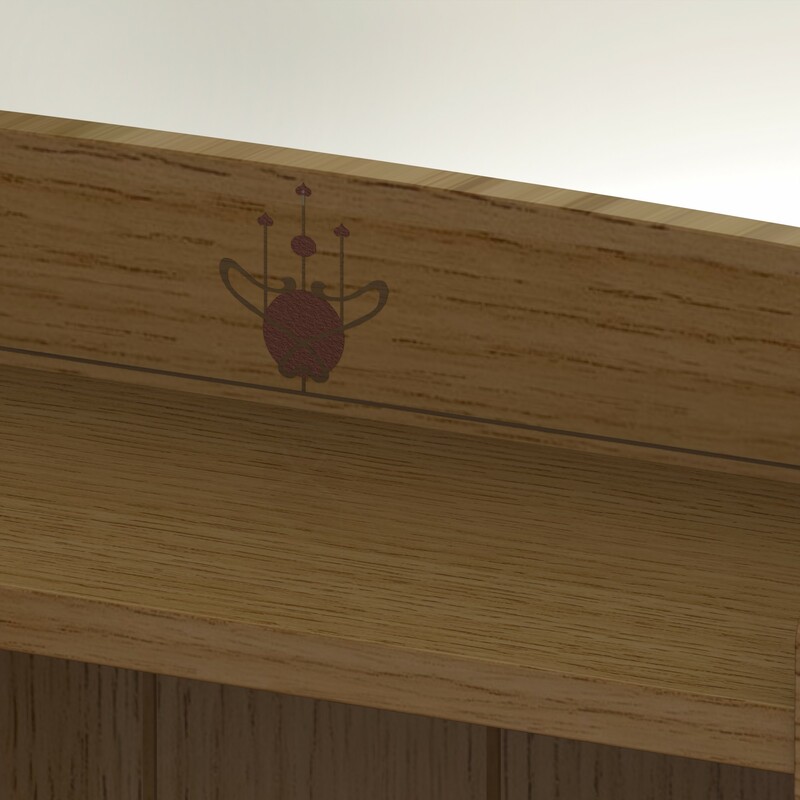 I like this simplified version, but the inlay element needs something flanking it on either side. 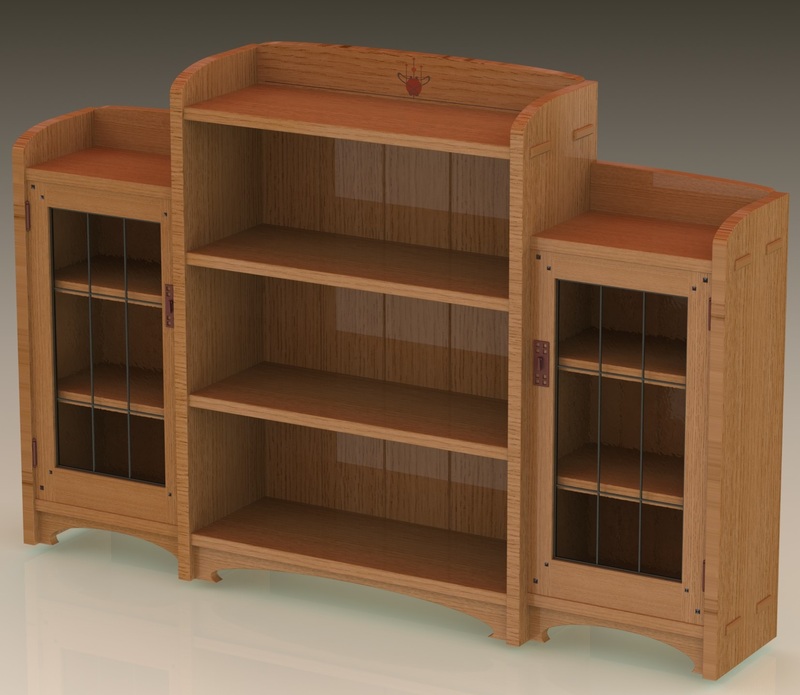 By design, or not, you’ve set up a repeating triptic throughout this bookcase. Three cases, each with three shelves. The doors have three vertical and three horizontal panes. So it follows that the decorative inlay should repeat that element of three. I disagree. The doors’ locks make a nice triangulation with the inlay. And I like more this version, in the last one I felt that the flowers didn’t let you see the books. Also the straight lines will blend better with the books on the back, imho.